7. Rail, box hip, get after it! 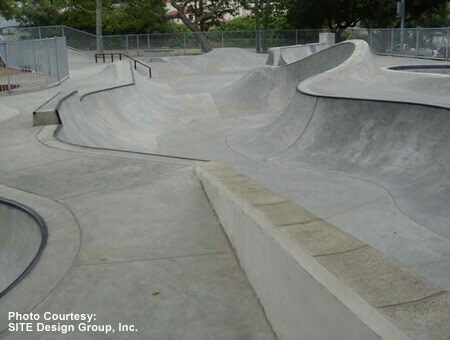 One of the best skateparks in the country, Glendale Skatepark is relatively small at 15,000 sq ft but packs a mean punch. 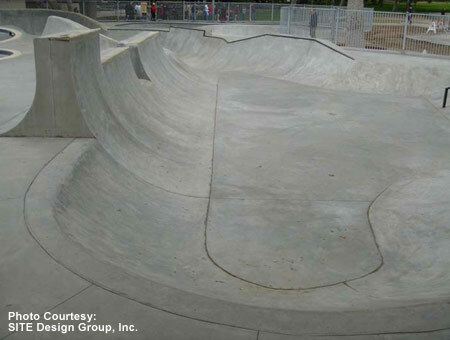 The skatepark opened April 17, 2004 and features a right-hand kidney pool, a combination bowl, and a sick snake run with an oververt clamshell. 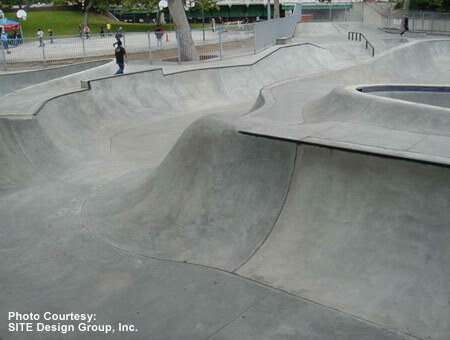 Glendale Skatepark is the best skatepark in LA County and is a fully lit facility. 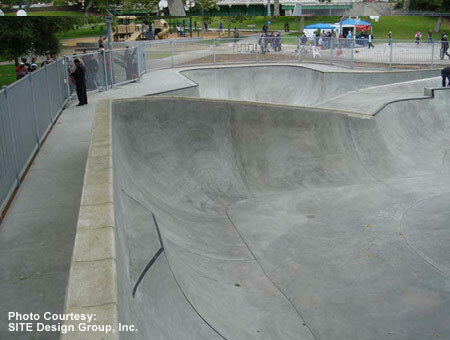 It's been said this is the best vert skatepark in southern California. 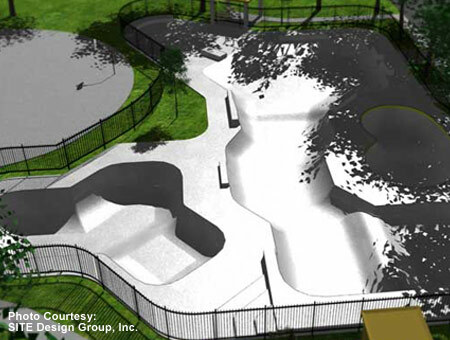 Glendale Skatepark features a right hand kindey pool with a 10' deep end, 8' transitions and 2' Vert, a 6' shallow end with 6' transitions that go to vert. 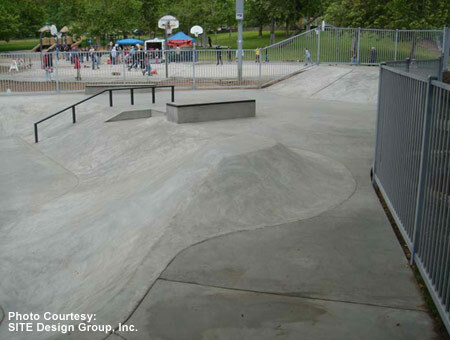 We won't forget the deathbox and tile, then SITE Design topped the kidney off correct with pool coping. 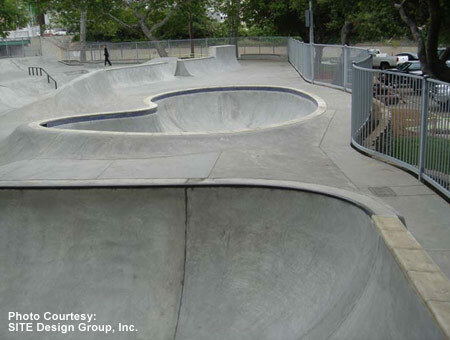 The snakerun basin features a bank leading in with a 20' handrail. The shallow end of the basin is 32' wide, has a 6' wall split by and 4' channel next to an 8' vert extension.The snakerun is 5' deep, has 7' transitions with a 9' over-vert pocket. 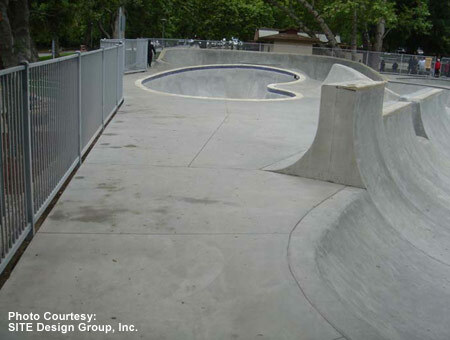 The big basin has a vert wall that is 40' wide, 9' high with 8' transitions, 1' of vert capped with pool coping, an 8' wide loveseat that is 6' high with metal coping. 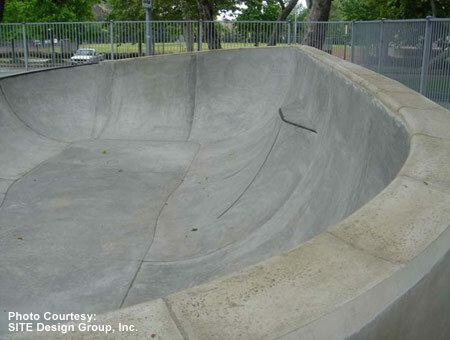 The big bowl has a 6' shallow end with 7' transitions, the deep end is 9' deep with 8' transitions and 1' of vert with metal coping. 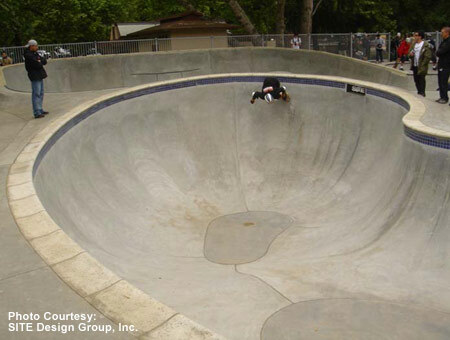 The 11' over-vert bowl has 9' transitions, 2' past vert with pool coping. All photos courtesy SITE Design Group. NO BMX, Helmet, knee pads, and elbow pads required.